Documentary which digs into the archive to discover the unwritten rules that have governed the way we drink in Britain, from 1940s pubs and clubs to drinking at home or at work. Timeshift digs into the archive to discover the unwritten rules that have governed the way we drink in Britain. 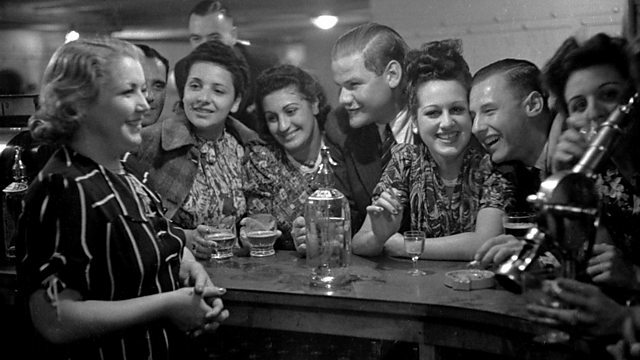 In the pubs and working men's clubs of the 40s and 50s there were strict customs governing who stood where. To be invited to sup at the bar was a rite of passage for many young men, and it took years for women to be accepted into these bastions of masculinity. As the country prospered and foreign travel became widely available, so new drinking habits were introduced as we discovered wine and, even more exotically, cocktails. People began to drink at home as well as at work, where journalists typified a tradition of the liquid lunch. Advertising played its part as lager was first sold as a woman's drink and then the drink of choice for young men with a bit of disposable income. The rules changed and changed again, but they were always there - unwritten and unspoken, yet underwriting our complicated relationship with drinking.